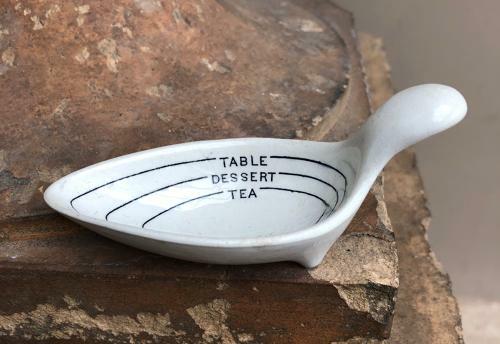 Edwardian Table, Dessert & Tea Spoon Measure. Lovely condition Edwardian White Ironstone Measuring Spoon. To measure a Tablespoon, a Dessert Spoon or a Tea Spoon.